Bill Bryson’s At Home. On loan from my mum. I like Bryson in small portions so I’ve been reading this on and off for a couple of months now … Sometimes he’s very funny. Sometimes he hits the nail squarely on the head. But sometimes (when I happen to know more of the history of whatever he’s writing about than he he does – or than he’s chosen to express), I find him irritating and tiresome. In respect of this book, his focus is on social history using his house in England as the axle on which the book turns, but at some point in every chapter he remembers he has an audience Stateside too and (sometimes awkwardly I feel) wrestles his subject around to include an American slant. Charles Nicholl’s The Reckoning: The Murder of Christopher Marlowe is next. Another borrowing this, from Nigel Leech at Adel Publishing. This is a really well written historical study of the murder and the events, people and period. I’ve read it through but it’s still on the pile because I’m making notes from it for the background of Elin’s Story. Lawen Mohtadi’s Den dag jag blir fri is next. A biography – the first – of the Swedish Romany activist and children’s author Katarina Taikon. I’m a chapter into this now. An interesting subject and written in easy Swedish … a bit too easy to be honest. It’s very flat. Below that is Andrea Gillies The White Lie. I read this novel when it first came out about a year ago. I enjoyed it, recommended it to others and even bought an extra copy to give to my sister (who also liked it). I fully intended to write a review of it for Amazon … but I never got around to doing so. Another New Year Resolution: live up to your promises! The last three are thinner than the others, but still packed with enjoyment. Sara Granér’s All I Want for Christmas is planekonomi is a graphic debate book, a scream of protest against the triumphalism of the market economy in cartoon form. For dipping into. Below that is the new catalogue of the Gothenburg International Film Festival – starting in 10 days – which I am feverishly reading and flipping through back and forth as I try to narrow down my choice of films to see to something manageable timewise and moneywise. And below that you can just see a copy of the latest edition of Forskning och Framsteg a magazine of popular science, Sweden’s equivalent to New Scientist. There’s an essay on the Black Death (Digerdöden) I’m looking forward to reading. 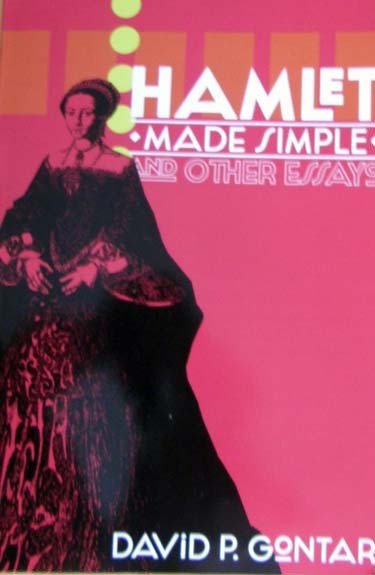 And one more title, Hamlet made Simple and Other Essays – see left – which arrived by post the day after I took the main photo. This is a book of essays by a visitor to these pages no less. David Gontar is currently a Professor of English and Philosophy at the Inner Mongolia University of China and this book (with the exception of the title essay) was conceived and written not far from Xanadu. I’m currently trying to get through “On Politics: A History of Political Thought – From Herodotus to the Present” by Alan Ryan (I think the title is rather self-explanatory, the book is quite difficult despite the fact that I consider my english to be rather good, at the moment the author is examining Aristole, Plato and Socrates and their views on the State), alongside “The romantic manifesto” by Ayn Rand (a book about art, in all forms, and its meaning and role in human life, described from an Objectivist viewpoint) and a coursebook in chemistry and a coursebook in biology. Unfortunately, as my biology and chemistry courses have picked up some speed now, I find myself reading mostly the coursebooks but I try to get a few pages of “luxury/freetime” reading done every evening before I turn off the light and fall asleep. I’ve been studyying chemistry all weekend long, with a fever, so today I intend to reward myself by not reading a single page in a coursebook and sit down with both Ryan and Rand and just enjoy! I was disappointed at how long it took me to read Mohtadi’s book. Thought I was quicker in Swedish. (It’s not long and isn’t written in complex language, but it still took ages.) I’d conclude it wasn’t really very interesting – and after all I never read any of Taikon’s Katitzi books so I have no emotional-nostalgic relation to her. But actually I think the historical and continuing private and institutional racism directed at the Romani people in Sweden and elsewhere is interesting. 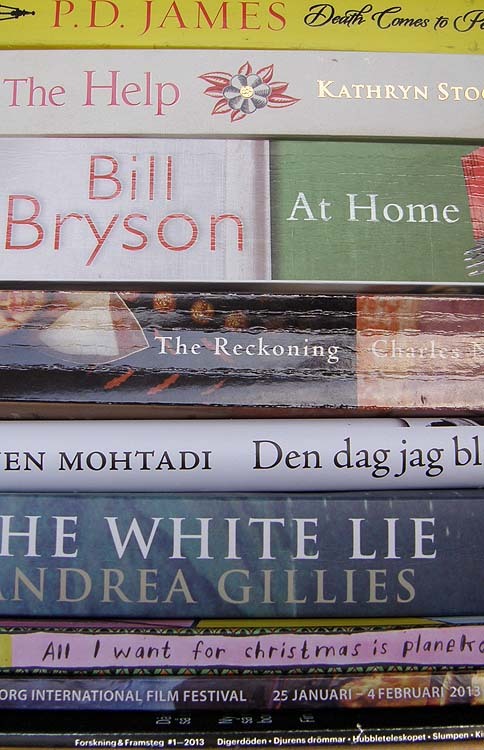 And I was intrigued by the sidelight the book casts on Swedish hypocrisy during WW2 and the quarter century after. So I must conclude I just don’t read well in Swedish. Alan Ryan’s book doesn’t sound particularly light… though compared with chemistry I’ll believe it might come off as an indulgence read. As for Ayn Rand, I’ve only read Atlas Shrugged. Years ago, and I’m not sure I ever got to the end of it. I don’t remember it as being very well written and for some reason it shares a place in my memory with BF Skinner’s Walden Two. Not because of a similar philosophy (though I think there are points of comparison), but for the way they both hijacked a literary genre close to my heart (Science Fiction) as a vehicle for promulgating their ideas. Also I read them both at about the same time. (I was writing my undergraduate thesis on utopianism and dystopianism). What an interesting thesis to write! Utopianism and dystopianism are very interesting topics indeed. In december I read Ayn Rand’s “Anthem”, a short dystopian novel. As for Rand, I have to agree with you on one point, her writing is rather in the category of “not too good”, but I don’t think her main skill was in writing but rather in speaking, in getting a debate going and in discussing politics and social structure and human purpose. I haven’t thought of it before, but now that you mention it, it does feel like she’s kidnapped science fiction as a means to get her philosphy through to the reader. Most people I’ve discussed Rand with feel her to be a mediocre writer but they still admire her philosophy. So far I’ve gotter through “Anthem”, “Atlas shrugged” and “The Fountainhead” but I have several more books to go. One of my cousins has a doctorate degree in studying minority groups, especially Romani people. I had no point in telling you this, just thought I’de mention it. Well, back to some chemistry now… Wishing you a nice rest of the week. On more sober reflection I don’t think Rand’s phlosophy and Skinner’s psychology have anything in common. Posthumous apologies to both! And neither are by any means unique in using SF to put across philosophical ideas. But some of the others did it with greater literary competence.